Home Chef delivers fresh ingredients and recipes directly to your home, so that you can easily prepare home-cooked meals. Plus, you can get a Free $30 Home Chef Credit when you use discount code ‘3PLATESOFF’ at checkout after you sign up via this link today. The $30 free credit is equal to 3 free meals from Home Chef. 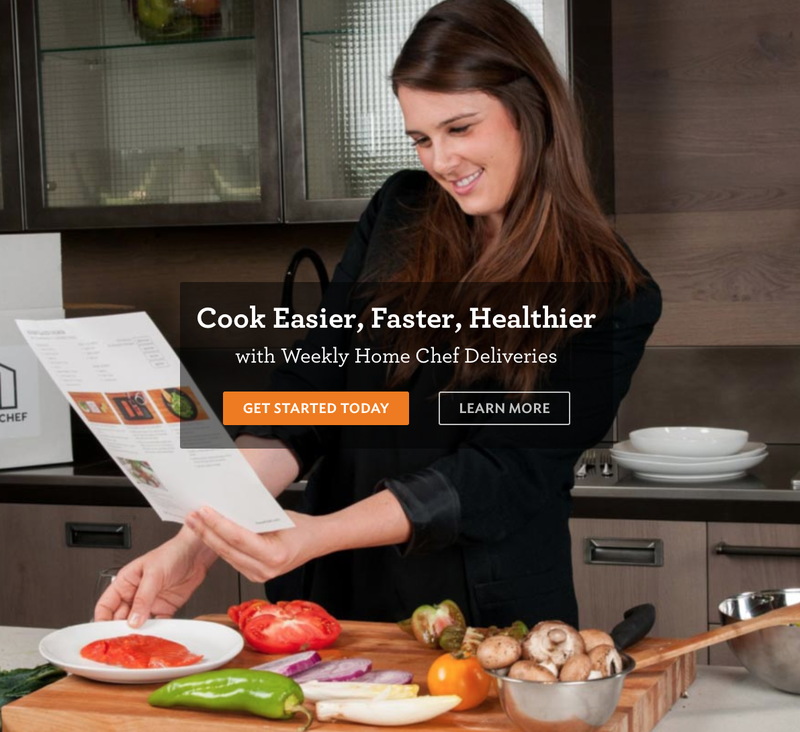 Home Chef provides a weekly subscription service, which can be skipped or canceled at any time online. You’ll get all of the ingredients needed to prepare 3 gourmet meals for 2 people with step-by-step recipe cards that are easy to follow. You just set your taste profile, choose your number of meals per week, pick your delivery day, and they’ll be delivered to your home. There are 8 new recipes available each week, and the menu changes weekly and is catered to all tastes. Home Chef offers pescatarian, vegetarian, vegan, and low-calorie options, plus they will even accommodate dairy and gluten allergies. States completely covered include: AR, DE, KS, KY, IA, IL, IN, MD, MI, MN, MS, MO, NJ, NY, OH, PA, TN, WI, and WV. States partially covered include: AL, CT, GA, LA, NC, ND, NE, OK, SC, SD, TX, and VA.
All Home Chef meals are priced at $9.95 per serving, and they don’t charge sales tax. Delivery is free for orders over $40, and shipping is $10 for orders less than $40. Just sign up via this Home Chef $30 Referral Credit Link to get a free $30 credit automatically applied toward your first subscription order when you use discount code ‘3PLATESOFF’ at checkout. Plus, once you become a Home Chef subscriber, you can access their refer-a-friend program to earn a $30 credit for each new customer that you refer. All active subscribers have access to the Home Chef referral program, allowing you to earn credit for every referral that signs up with Home Chef. When your referrals list your email address in the referral box when signing up, both of you will receive a $30 credit, which is good for your next order. Customers are not permitted to refer members of the same household. You can manage your Home Chef delivery schedule for the next 4 weeks by using the “skip” option within your online account. You can also deactivate your account at any time for as long as you need. Simply go to your account page, click on the “My Cooking Profile” tab, and pause your account at the bottom of the page. Just keep in mind that pausing your account will not cancel an order that’s already been processed. Be sure to pause your account before the Friday 12 PM Central deadline if you do not want a delivery for the upcoming week. You may also be interested in the similar HelloFresh Meal Delivery Service that offers a $40 free credit off your new subscription. Give Home Chef a try to get fresh ingredients and recipes delivered to your house to prepare home-cooked meals with ease. Long time follower, I’d put a free box towards a easy and delicious meal for the family on a busy work night! Thanks. My husband and I are a 60+ year old retired couple. This gift would go a long way to saving money off a weeks worth of groceries. That’s two nights of dinners we won’t have to pay for. I’d love a free box! this seems like a trick question as a $50 credit will certainly save us money! I would love to receive a box from Home Chef to create a beautiful meal for my son and I to enjoy since I don’t get to see him very often. He is 24 and has come to love cooking and enjoys creating new dishes in the kitchen. He’s also become quite the chef! Spending time with my son, creating a beautiful meal together and enjoying it together while catching up sounds perfect to me. Please choose me!